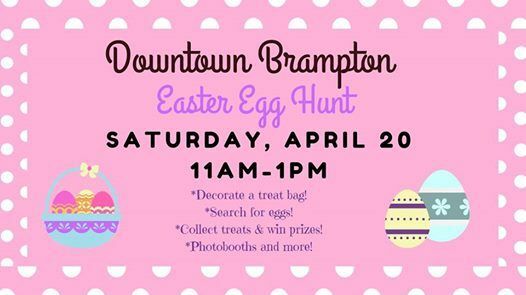 Join us for the third annual Downtown Brampton Easter Egg Hunt on Saturday, April 20th from 11am-1pm! Treat bags for the first 1000 kids. While supplies last in participating businesses. Vivian lane: Starting point. Visit the laneway (70-74 Main St. North between Cyclepath and Beaux-Arts) to grab decorate a treat bag and grab a map to begin the hunt. 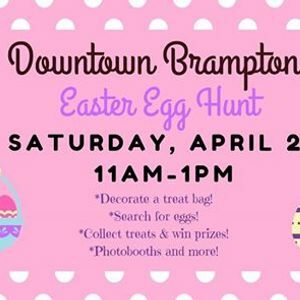 Daily Times Square: Kids zone (33 Queen St. West) featuring: PhotoboothTO, Brampton Recreation, contests, Brampton Beast and a few more surprises! NEW THIS YEAR! Dancing Flower Parade in Garden Square. This parade will begin in Vivian lane and proceed into Garden Square for a march. 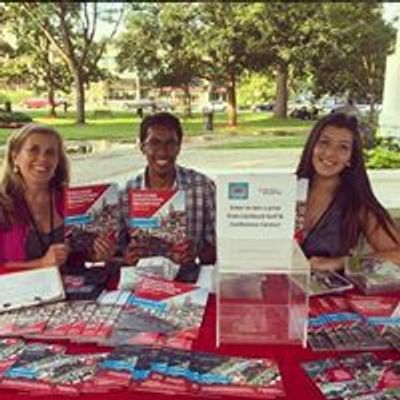 Join us to kick-off spring! Wear your Easter bonnets, floral gear, pastel colours or Easter attire. This parade is in partnership with the Boys and Girls Club of Peel, lead by Mayor Brown. Bharatnatyam based dance drama "Tale of Lord Ganesha"